The rolled-away grave stone also reminds one of a millstone, which functions in older art as a symbol for eternity, as a millstone is so heavy and solid that it can’t possibly be destroyed. It refers to the permanence of the things that will last eternally, contrasting with the vanity of all that will pass away. 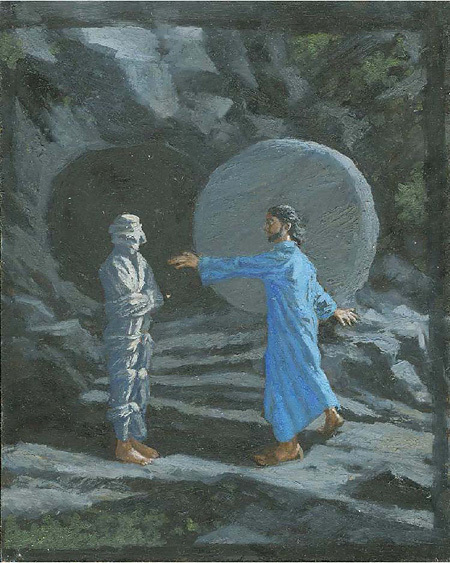 Lazarus (Psalm 49), 2009, Oil on panel, 18 x 14.5 cm.